an aluminum alloy finish, the DSO202 is sleek, compact, and incredibly powerful for its size. 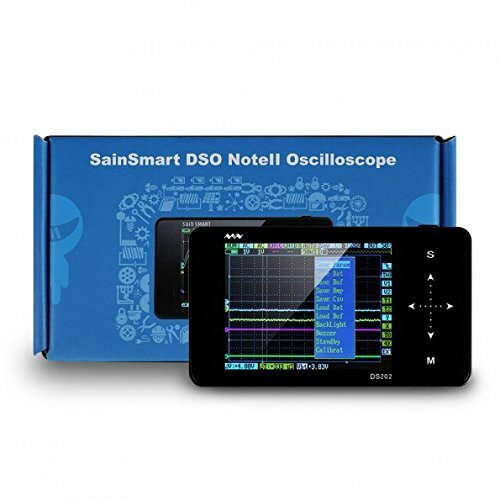 Note: The DSO138 oscilloscope is not included! 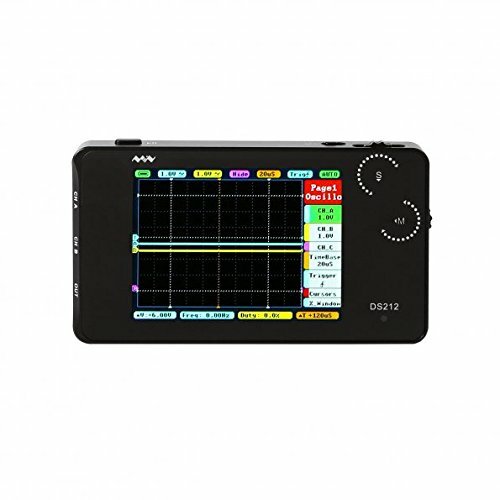 ETEPON EM001 oscilloscope kit is an assembled finished machine which can be used directly. 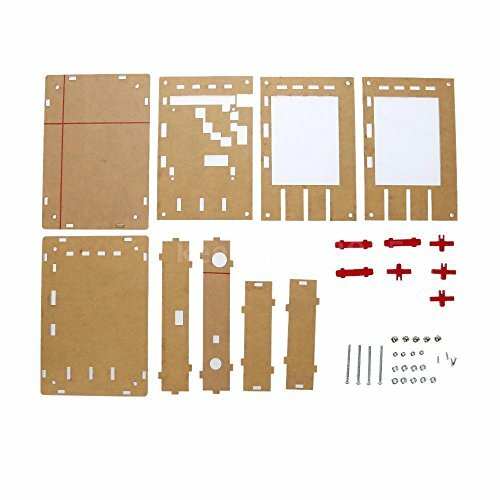 Unlike DIY oscilloscope kit, you don't need to do assembly or soldering work before using, which will avoid some problem caused on soldering or assembling process and save your time. Great Replacement Extended both in width and height Hand-held Added the rotary encoder, makes parameter adjustment more quicker and easier. Easily capture instantaneous wave forms using the Auto/Normal/Single Trigger mode. Display and MCU are mounted on the same board (main board) to avoid using inter-board pin-headers. Analog channel is placed on a separated board which contains most user install parts, so the analog and digital circuits can be better separated. Specification Number of Channel: 1 Analog Bandwidth: 0 - 200KHz Sensitivity: 5mV/Div - 20V/Div Sensitivity error: Resolution: 12-bit Input Impedance: 1M ohm Maximum Input voltage: 50Vpk Coupling: DC, AC, GND Trigger Modes: Auto, Normal, Single Trigger Types: Rising/falling edge Trigger Position: 1/2 of buffer size fixed Display: 2.4 inch color TFT LCD with 320 x 240 resolution Power Supply: 9V DC (8 - 10V acceptable) Dimension: 115mm X 75mm X 22mm Weight: 100 gram Packing Lists 1 * Oscilloscope 1 * BNC-clip cable 1 * Users Manual Kindly Note 1. It runs on 9V power adapter. 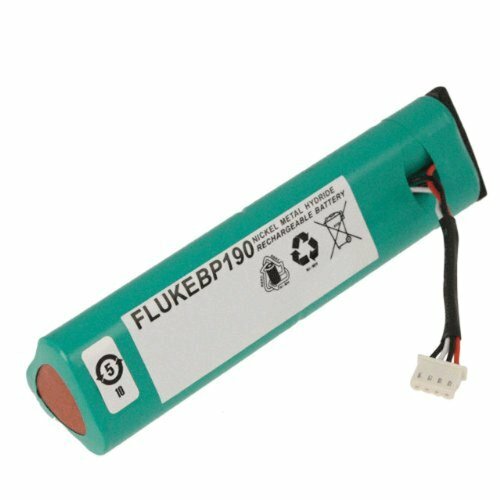 The power supply voltage must not exceed 10V. Otherwise it is possible to burn out the machine. 9v dc power supply should be center positive. 2. The kit does not contains a power adapter. ASSEMBLED FINISHED ETEPOPN EM001 digital DIY oscilloscope kit with case is an assembled finished machine. No soldering / assembly work needs. It can be used directly to avoid assembling /welding process problems and greatly save your time. UPGRADED VERSION The sensitivity of the EM001 has been extended both in width and height, which is wider and higher than the others. It reaches 5mV / div - 20V / div, while the others is only 10mV / div - 5v / div. HAND-HELD This updated digital oscilloscope can be hand-held, while the others can only be used by placing it on the desktop. ROTARY ENCODER It has been added the rotary encoder, makes parameter adjustment more quicker and easier. WHAT YOU GET You will get a assembled oscilloscope,BNC-clip cable. Detailed Operation instructions, troubleshooting guide and schematic are also provided. 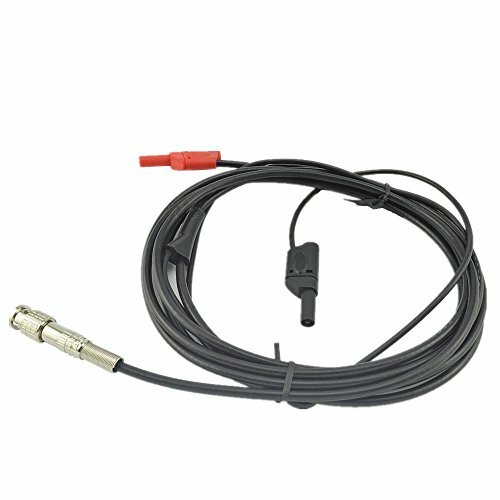 It consists of wide range probes, clips, gators can be plugged into the 4 mm connectors at the end of the cable. It adopts full shield which can help reduce the noise interference. To avoide the lines twisting together, the two pieces of lines with connectors are not the same in length. The short line is earth wire, and the long line is positive pole which should be connected with the auto engine cable, which also can cooperate with a 20:1 attenuator. FlukeView Forms plus Designer allows a user to edit an existing form or create a new form to customize the report to individual needs. To address the increasing demands for reporting and documentation, Fluke presents FlukeView Forms documenting software. 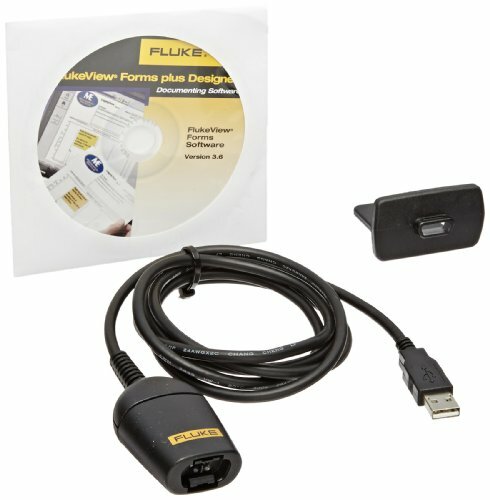 FlukeView Forms increases the power of your Fluke tool by enabling you to document, store and analyze individual readings or series of measurements, then convert them into professional-looking documents. The ability of FlukeView Forms to support multiple instruments enables the user to install and learn only one software application in order to use these multiple tools fully. Use the FlukeView Forms plus Designer to customize your reports or add your company logo. Share or store your data with co-workers or clients - print forms, export to other software programs, or have co-workers and clients down load the free FlukeView Demo/Reader to view and interact with your captured data. With USB/IR cable. FlukeView Forms supports the following test tools: 280 Series, 53-II B and 54-II B, 789, 1550B, 1653, 180 Series. Number of standard forms: 9. Able to modify standard forms. Includes FlukeView Forms Designer for customizing forms. Number of multiple meters whose data can be viewed simultaneously: 8. Number of concurrently running instances of FlukeView Forms allowed: 4. Ability to change company name on report. Supports multi-page forms. Requirements: Operating system: Windows 2000, Windows XP, Windows Vista or Windows 7. Minimum PC Hardware: Pentium class or better microprocessor, 32 MB RAM, 70 MB hard disk space (100 MB to install), USB port. Size: 203 x 100 x 50mm. 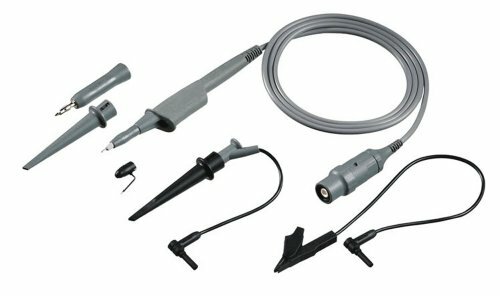 The HT201 has been designed to allow fuel injector and primary ignition waveforms to be measured using Hantek oscilloscope products. Please note this attenuator should not be used for any high voltage measurements other than fuel injectors and primary ignition. 20:1 Attenuator,Designed for assisting automobile measurement. The i310s current probe is based on hall effect technology for use in measurement of both DC and AC current. 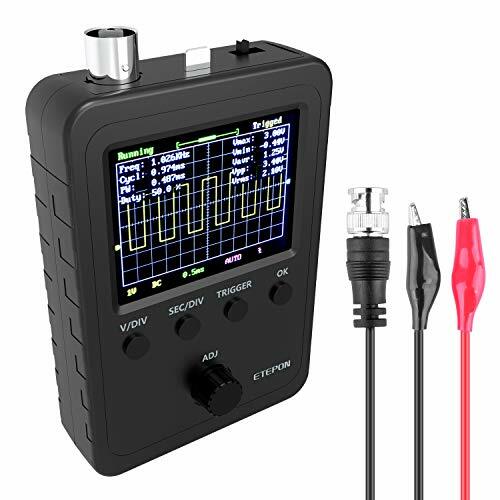 The i310s may be used in conjunction with oscilloscopes and other suitable recording instruments for accurate non-intrusive current measurement. Current ranges: 30A and 300A AC rms or +/-45A and 450A DC. Measuring Ranges: +/-45A and 450A DC. Output Sensitivity: 10 mV/A (40A) to 1 mV/A (400A). Resolution: +/-50 mA (40A) to +/-100 mA (400A). Load impedance: greater than 10 k Ohms and less than or equal to 100 pF. Frequency range (small signal): DC to 20 kHz (- 3 dB). Phase shift below 1 kHz, less than 2 degrees. 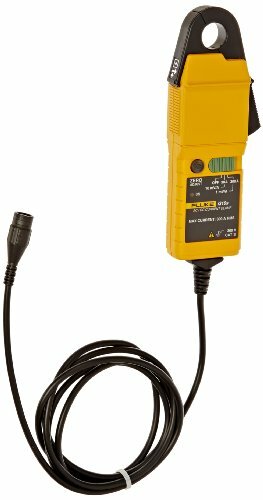 Temperature coefficient: +/-0.1 percent of reading / degree C. Power Supply: 9V Alkaline, MN1604/PP3. Battery life: 30 hours, low battery indicator. Inrush current: 600A AC rms maximum. Accuracy (at +23 degree C): (30A range) +/-1 percent of reading +/-50 mA, (300A range) +/-1 percent of reading +/-300 mA. Bandwidth to meet accuracy specification: 1 kHz. Conductor position sensitivity: +/-1.5 percent relative to centre reading. 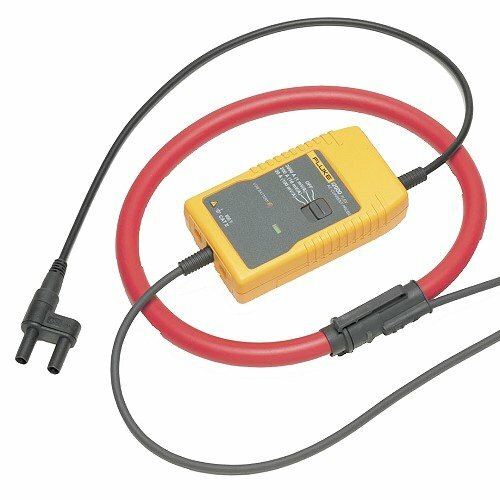 Working voltage: 300V AC rms or DC. 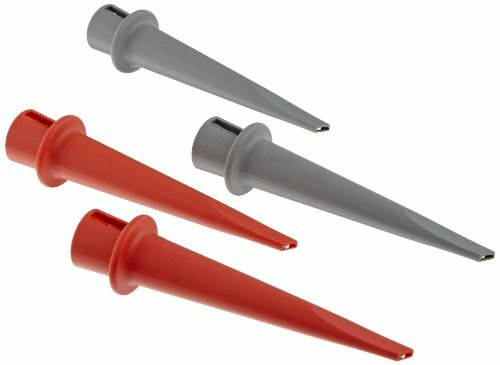 Maximum conductor size: 19mm diameter. 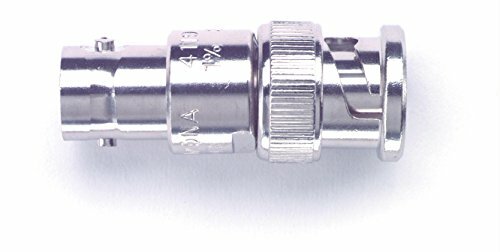 Output connection: safety BNC connector, supplied with safety 4mm adaptor. Output zero: manual adjust via thumbwheel. Cable length: 2m. Operating temperature range: -10 to +50 degree C. Storage temperature range (with battery removed): -20 to +85 degree C. Operating humidity: 15 to 85 percent (non-condensing). EMC Standards: BS EN 61236 1998 +A1, A2, and A3. Thermocouple mini-plug Kit (7 types). A kit of 7 mini plug connectors. Kit includes: type J (black)-2, type K (yellow)-2, type T (blue)-1, type E (purple)-1, type R/S (green)-1. 1 year warranty. The 4119-50 is a BNC female-male Feed-Thru termination. 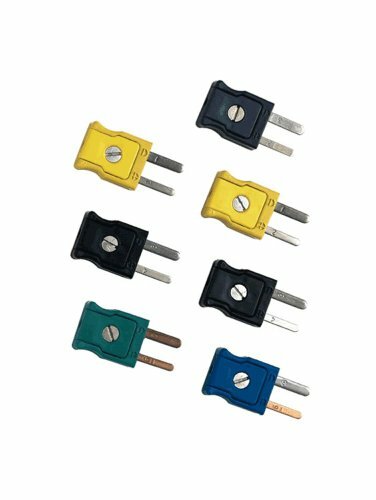 Ideal for terminating pulse, microwave or UHF instruments with a 50 ohm impedance.